Perfect Latkes - Pretty. Simple. Sweet. 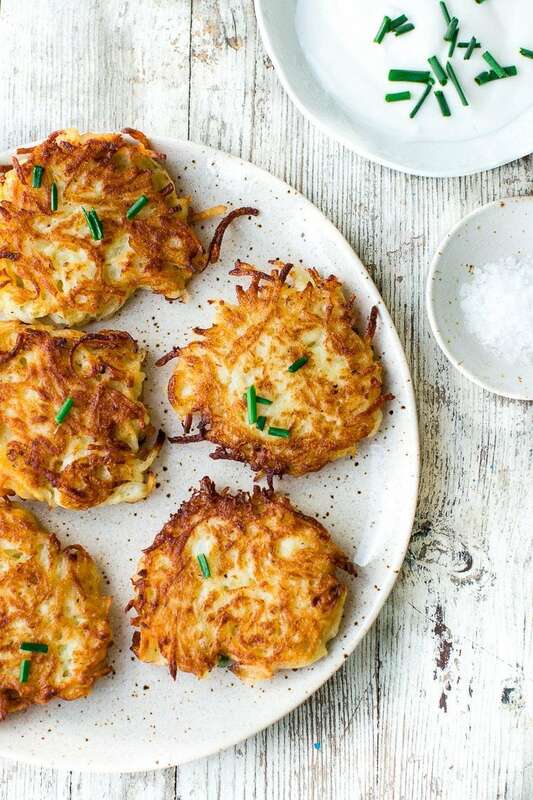 Crispy potato latkes are the Hanukkah star this week. 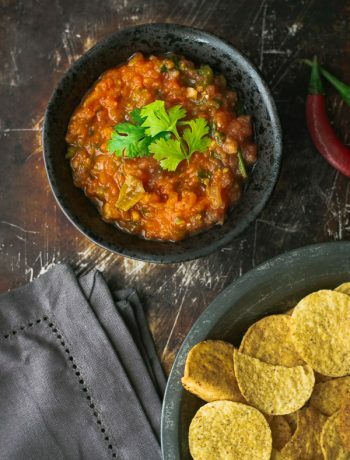 Here’s everything you need to know on how to make them. Hanukkah is just around the corner, and that means gaining weight. It only lasts a week but with traditional foods like sugar doughnuts, jelly doughnuts, potato donuts and latkes, it’s hard to stay fit. I always talk about my mom during the holidays because this is when she spent hours and even days in the kitchen to make everyone’s favorite treat. She used to make us latkes every morning in Hanukkah. It’s a mystery how I was such a skinny girl. I asked my mom what kind of potatoes I should use, and she said something vague like “the red ones”. 30 minutes later she called again to say that “the yellow ones are good too”, so according to her, you can use pretty much any potato. But digging deeper into it, I personally like using starchy or all-purpose potatoes that are good for baking. 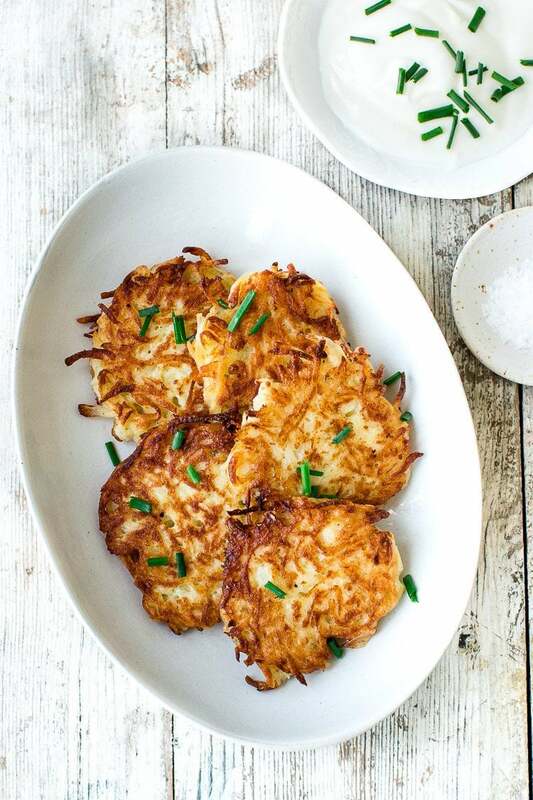 The starchier the potato, the crisper the latke. As for the flavor, I found that all the potatoes I tried tasted great. Conclusion: as long as you use potatoes that are good for baking and frying, you’re good. I shred the potatoes (and onions) using a food processor, but if you don’t have one, you can use the largest holes of a box grater. After grating the potatoes, you’ll need to squeeze the excess liquid out of them. I do this by placing the potatoes and onions in a colander set in a bowl and press it down with the back of a spoon. You don’t need that extra liquid, so just discard it. Another thing you can do is to spread the potatoes and onions on a kitchen towel and twist the towel to wring out the liquid. They also work well here. Use the same quantities for all ingredients, replacing the potatoes with sweet potatoes. You can leave out the onions or use some scallions instead. Onion adds a great flavor, so I recommend using it. If you prefer to keep things simple, you can leave it out and add an extra potato. 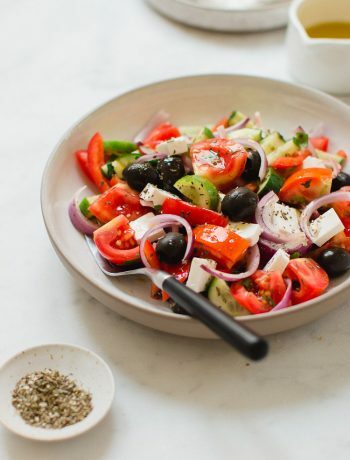 Instead of the onion, you can use scallions, shallots, parsley, dill, or chives. I use 2 large eggs for this recipe. When I tried using more, the latkes tasted too eggy. Some recipes use only 2 tablespoons of flour while others use up to 1 cup. The more flour I added, the more they tasted like pancakes and less like latkes. 3-4 tablespoons were just right. Traditional recipes don’t use baking powder, and I don’t use it as well. 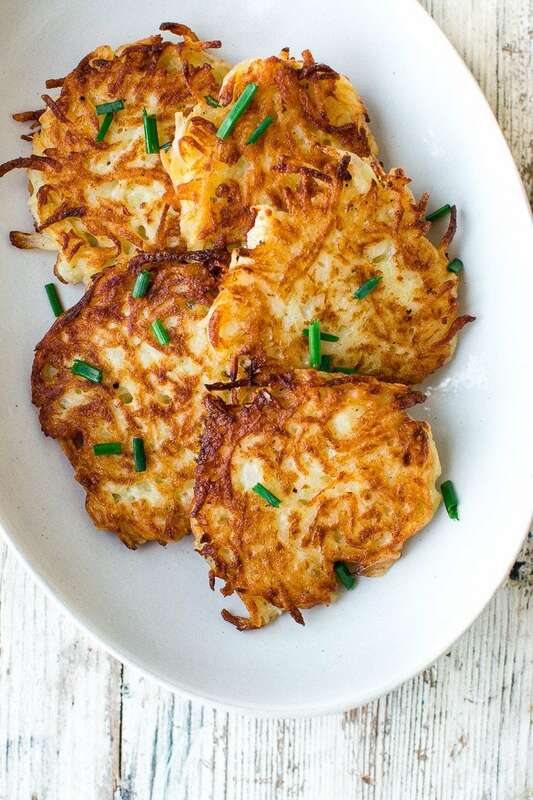 The latkes aren’t light, but they are perfect that way. So after the long lecture, you can now go and make some delicious latkes! Using a food processor with a coarse grating disc, grate the potatoes and onions. If you don't have a food processor, grate potatoes and onions on the large holes of a box grater. To squeeze the excess liquid out of the potatoes, place the shredded potatoes and onions in a colander set in a bowl, and press down with the back of a big spoon. Discard the extra liquid. You can also spread them on a kitchen towel and twist towel to wring out as much liquid as possible. Transfer potato mixture to a large bowl and stir in eggs, flour, salt, and pepper and mix until combined. 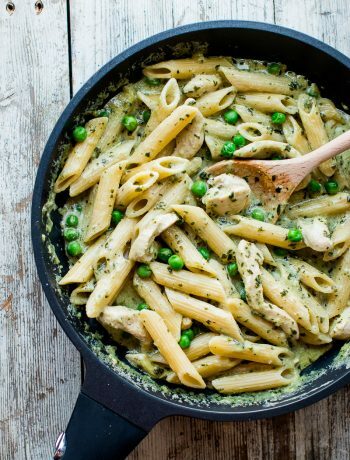 In a large skillet over medium heat, pour in oil until it reaches ¼ - ½ inch ( ½ - 1cm) up the sides of the pan. Once the oil is hot (a drop of batter placed in the pan should sizzle), use a heaping tablespoon to drop the batter into the pan, working in batches. Use moderate heat when cooking the latkes, otherwise, they will turn dark quickly. Use a spatula to flatten the latkes into discs. Cook until golden brown, about 4 minutes per side. Transfer the latkes to a paper towel-lined plate. Repeat with the remaining batter. Serve immediately, with sour cream or yogurt, if desired. Looks yummy! Will definitely try them. Wondering if I can halve the recipe as 20 latkes will be too many for us. Sure, just halve all the ingredients.